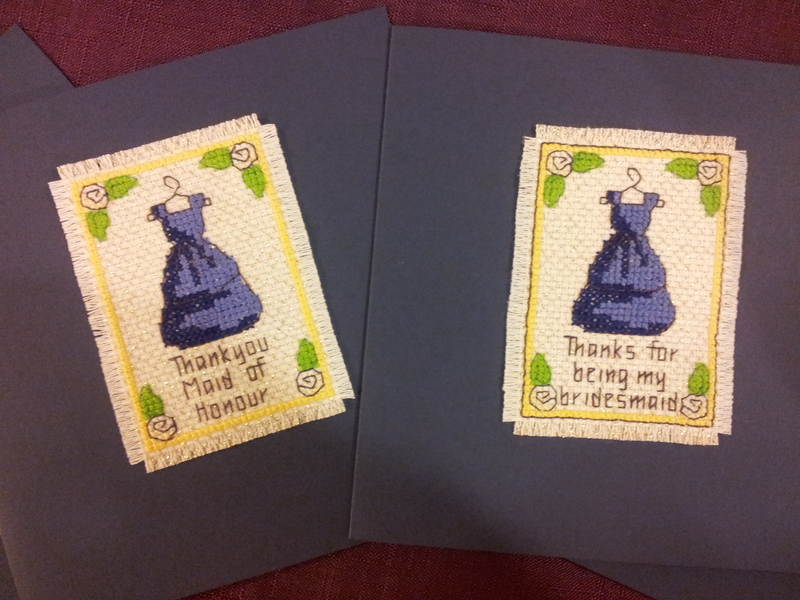 To thank my bridesmaids I bought them jewellery but wanted to make a personal thankyou card. I found a wedding design library in an issue of WOCS and changed the colours to suit my wedding colours. 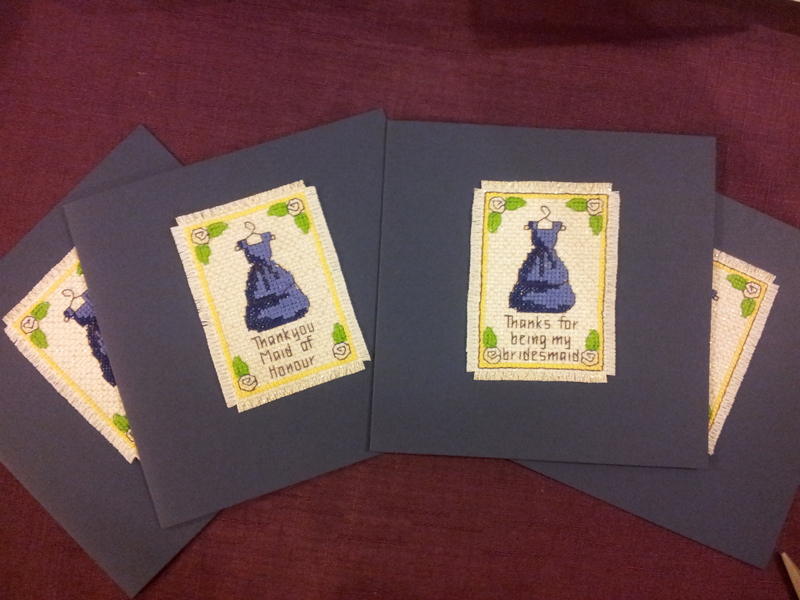 I made a slightly different card for my maids of honour. I even managed to finish them in time!